Halloween was so much fun this year. Brady was in heaven! He totally got it this time around. I really wanted him to be Alfalfa but he really wanted to be Captain America (or Hulk or Iron Man, depending on the day) and I let him have his way. 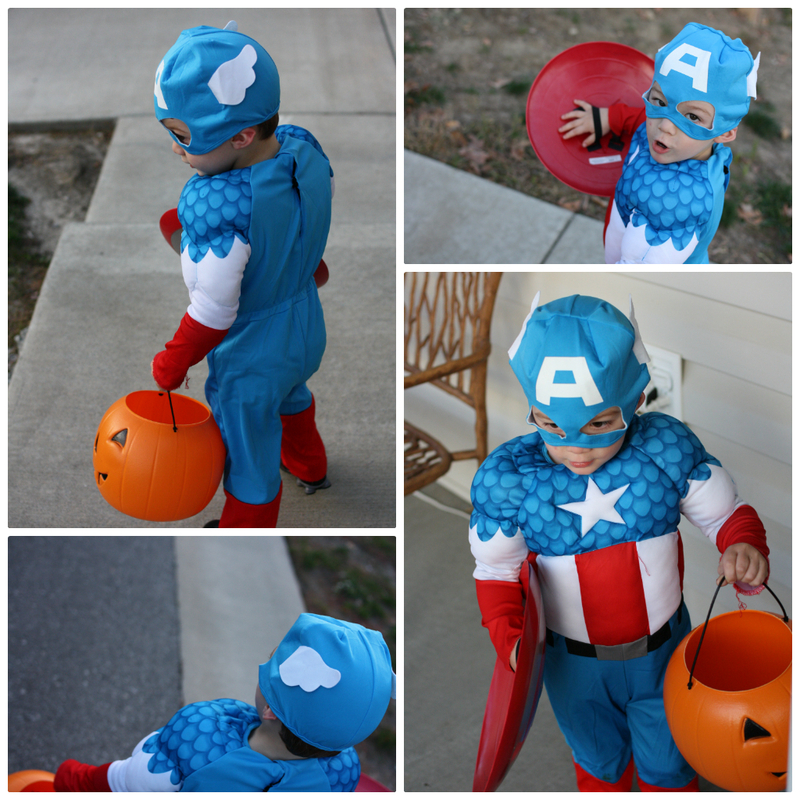 How could I deny him the ability to dress as his favorite character? I dressed Paityn as Minnie Mouse, but all that really meant was that she wore a frilly onesie with some ears clipped to a black headband. And that was just for pictures. We bundled her up for trick-or-treating and she slept in her stroller the. entire. time. She didn’t get to have any fun but she sure made it easy on the rest of us. We trick-or-treated for quite a while and we ended up with 7.5 pounds of candy. Don’t worry, I didn’t let him eat it all. Omgee! That’s a lot of candy! My little one 2.5 almost wanted nothing to do with trick or treating! He was terrified. Maybe next year will go better.